As scary as this may sound, what’s even more scary is that there are few if any personal trainers, fitness professionals or strength coaches out there who have any idea of what cancer is, what it does to the body, or how to successfully train those who develop it to help them better cope with treatment. I’m sure you know someone or have trained a client who has had cancer. Let’s face it, cancer isn’t going away, it’s only becoming bigger and more prevalent. Where did you turn to get more information on how to work with them properly? MY guess is the same places every other trainer turned, and what they found was a gaping hole in the knowledge about exercise and cancer. The vast majority of certification, degrees or diploma courses will only mention cancer at best, let alone teach you anything about what it is or how to handle anyone who has it. 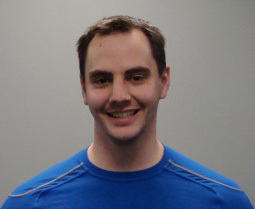 I’m probably one of only a handful of fitness professionals in all of North America who has a specialized knowledge base in cancer and exercise recovery and rehabilitation. There are currently NO resources available to trainers that teach them what cancer is, what to do with a client that has it, and what to watch out for when training their client, which means this will automatically become the default go-to resource for trainers who ever come into contact with a client recovering from cancer. 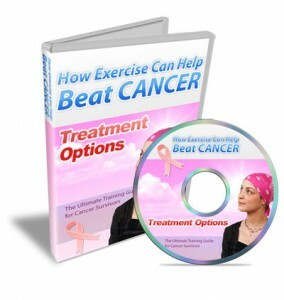 Additionally, if you’re not a fitness professional or know someone who has cancer who isn’t a fitness professional but wants to know what to do with an exercise program to help them out, this resource comes complete with a “Non-Professional edition,” outlining in basic less-scientific terms what is discussed in the professional edition. One client looked over the Non-Professional edition and said they got more information about cancer and exercise from it than they had received from all their oncologists, GPs and nurses COMBINED!! Attending workshops by qualified professionals can be very expensive, once you add up the cost of registration, travel, accommodations, meals, missed work, it can be a pretty big deal-breaker. By purchasing a program like this, you get the benefit of the workshop, plus additional material, as well as the ability to go through it from home and on your own schedule. You can also show it to the clients and those you care about who need to deal with cancer to increase the value of your services, as well as to build trust that you CAN help them. 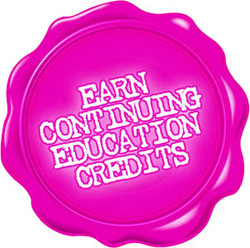 By taking continuing education courses like this, you stay ahead of the curve, and are able to provide more to a broader population base than any other trainer in your area. What’s more, becoming an expert in a growing population like cancer recovery will make your services that much more desirable to someone walking through the door. – Pam Lin, cancer survivor and mother. Just replying about the Program for Cancer by Dean Somerset. It is a fantastic looking programme. I will be sharing it with some of my family members who have cancer, and need some encouragement. Thanks for contacting me about it. I have viewed the video presentation for the UTG for Cancer Survivors and can honestly say that I am impressed with the wealth of information provided. Being a cancer survivor of 40 years this summer I can relate to many of the points made by the presenter. I’ve been there, done that, got the t-shirt – as they say! 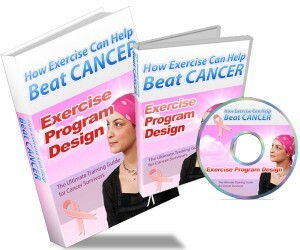 This program definitely affords a personal trainer the opportunity to better understand how a person with cancer would like to be treated and how to put together a suitable exercise program for his/her cancer client. Also, the information on cancer, types of treatment, side effects, etc., are all very helpful in helping the trainer to better understand and prepare for the cancer client. You Don’t Want to Train Cancer Patients? Trust me, I don’t either, but in the decade that I’ve been a trainer, I’ve had more than a dozen clients diagnosed DURING their training with me. If I didn’t know what to do or feel comfortable training them during their treatments, I’d lose those clients. Let’s say tomorrow, a client comes in to meet with you looking to lose weight, gain some strength, and get back to normal after a battle with breast cancer and all the surgeries and treatments that go along with that. 1 in 7 women will develop breast cancer, so if this hasn’t happened yet, it’s only a matter of time. BE PREPARED. You may not want to, but you will definitely need to know how to deal with cancer clients. Discover the essentials of what you need to know about cancer so you have a better understanding and the answers for your cancer clients. The most common cancer client you will have is a breast cancer client but there are other kinds of clients that you may see. In this video presentation you will lead about the other common cancers you may see. Discover the different treatment options your cancer client may go through. You will have a better understand of what treatments they may have or have had. This is the step-by-step guide on putting together an exercise program for a cancer client. This video presentation and guide is for your cancer clients. It takes them through exercise consideration for them. It also covers why exercise is important and what they should expect from their exercise program. I am always adding new stuff to the program in order to help you get better results and help your clients recovering with cancer. I just received the Ultimate Guide for Cancer Survivors. I’m a Personal Trainer and group instructor and I teach a group class where the majority of participants are breast cancer survivors. i really enjoy it. Hands Down the Best Money I have Ever Spent on Anything! I just finished viewing all of the information. I have to tell you that in the pat 25 years that I have been a fitness professional this is hands down the best money I have ever spent on anything! Thank you so much for bringing this to us. I can’t wait to utilize the information in this presentation. Be the first of your fitness colleagues to get this as it will become the go-to program for fitness professionals with clients that are recovering from cancer. Be the first to get it and show it off! This will help you in a lot of ways: training your clients, educating those around you who have cancer, and setting you apart from the rest of the fitness professionals in your area. I’m so confident that this product will be amazing for you, that I will refund all your money if you are not happy with the information provided or feel like you didn’t learn something from it. In 14 days, if this program does not help you fell more confident and get better results with your cancer client, You Get Your Money Back! If that is Not Good Enough, Try The Ultimate Training Guide for Cancer Survivors For The Next 60 Days With A No-Risk, 100% Money Back Guarantee! “Test drive” The Ultimate Training Guide for Cancer Survivors for the next 60 days with absolutely no risk so you feel more confident and get better results with your cancer clients. You can feel completely safe because you are protected by my iron clad 100% money back guarantee. 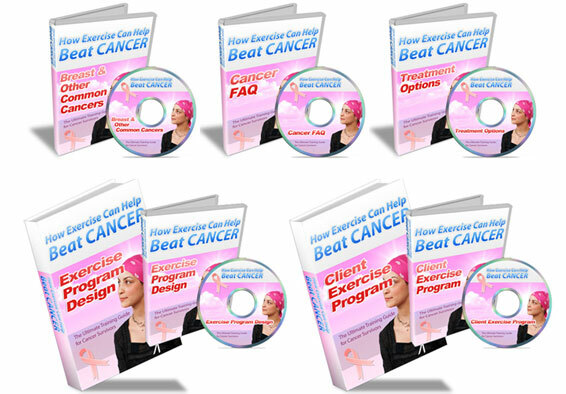 You will not only be satisfied, I guarantee you will be thrilled and amazed with The Ultimate Training Guide for Cancer Survivors, or you can simply email me and ask for a prompt and courteous, no hassles, no questions asked, 100% refund. P.S. – There is NO RISK at all for you when you try the How Exercise Can Beat Cancer. If you are not thrilled how this program help your clients battle back from cancer, let me know and I will refund your order. Your satisfaction is 100% guaranteed. P.P.S. – If you are sick and tired of not know what to do when you have a client with cancer, then use the How Exercise Can Beat Cancer to help your clients battle back from cancer. P.P.P.S. – There’s only one catch to all this. You need to act now to get the complete package along with the exercise program (including the valuable workout and exercise videos). Feel free to contact us via support(at)ExercisesForInjuries.com . For fastest assistance please include your receipt, the email you ordered with, your full name and date of purchase. 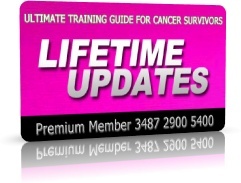 NOTE: – Ultimate Training Guide for Cancer Survivors is a downloadable manuals and videos. No physical products will be shipped. After you order, you will get INSTANT ACCESS to download the manuals and videos. The ebooks are in the format of adobe acrobat PDF, which can be viewed on Mac or PC. The video format is M4V which can be viewed on Mac or PC.